This vintage 1967 OMEGA SEAMASTER CHRONOSTOP one button chronograph is housed in a large 41mm. 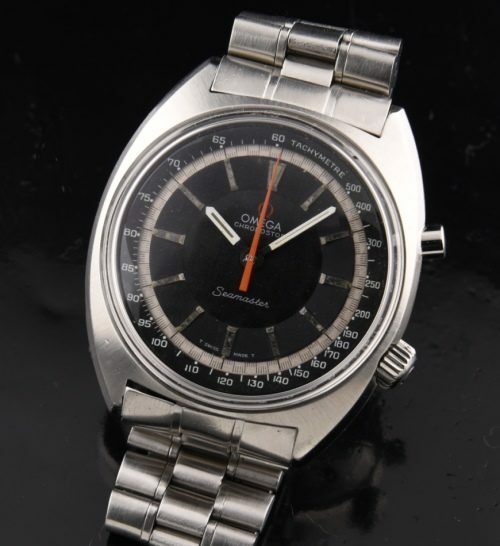 oversized and very clean OMEGA case with original OMEGA winding crown. The caliber 855 manual winding OMEGA, gilt chronograph movement is accurate after a recent meticulous dismantle and cleaning. The crystal is correct OMEGA hesalite and signed. 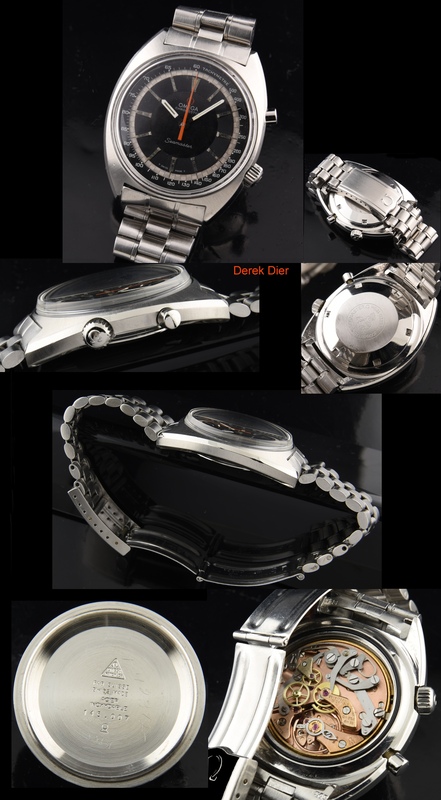 The original stainless steel bracelet displays great condition. The sunken black dial is original, as is the baton hands and orange sweep seconds. These OMEGA tool watch look fabulous on the wrist!